The cold weather in ACT and NSW for the past couple of weeks has definitely got me thinking that Christmas in Australia should be in July. I know there’s the novelty of ‘Christmas in July’ every now and then but it’s obviously not the same thing. While many of us are probably cocooned indoors while the cold fury outdoor lashes out, I’m putting my rose-coloured glasses on because staying indoors can only mean one thing right? TRAVEL PLANNING! And besides, it’s already AUGUST! It really is time to ask : Where would you like to be for the holidays? Movies like Love Actually and Serendipity spurned my yearning for a white Christmas! I don’t know about you, but these two movies from the early 2000’s (when I myself was in my early 20’s) really bring out the romance of a white Christmas. They’ve also got wonderful soundtracks to play over the fireplace glow but I’m getting sidetracked here. I’d recently been introduced to this tour company called Albatross Tours. They specialise in European tours for Australians and New Zealanders. And not just any tour in Europe, but Christmas and New Year European tours. I just spent an hour browsing their Christmas / New Year itinerary packages and the dream for a white Christmas has just gotten stronger than ever. For some reason, all my Christmases / New Years have been spent home (wherever home is in that year). I’ve been to Europe prior to Christmas (October-November) and even then I can feel the buzz as people get ready for Christmas. Oh yes, the closest to a “White Christmas” I had was during my time in Seoul, South Korea, where I saw snow for the first time but it felt a little bit contrived (both the snow and the holiday season). I also spent a winter weekend in Seattle in December, but that’s not really counted as celebrating Christmas or New Years at all. It really must be something to experience being out in freezing weather, but having the festive energy and buzz of people all around you. 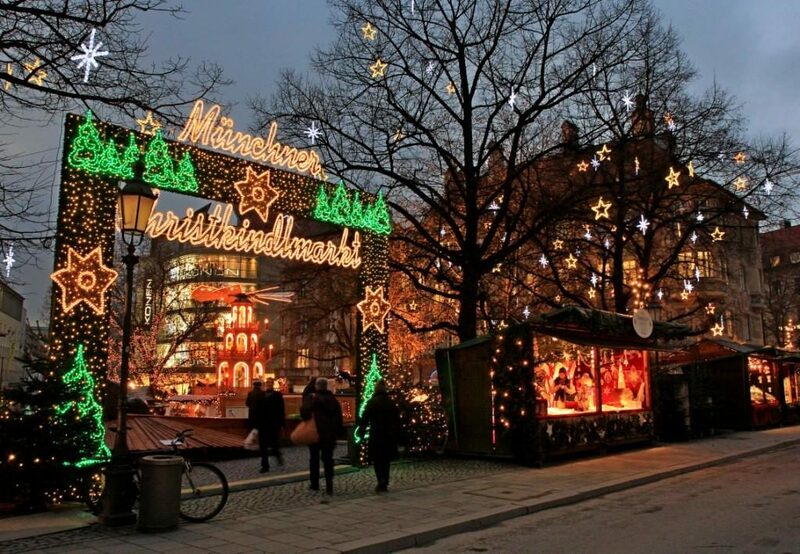 Especially the night Christmas markets that I only see in photos and videos from other bloggers (and ok, movies!). And I’ve had a look at the Christmas and New Year itineraries of Albatross Tours. They’re just endless. It’s like Frozen-heaven for adults. There’s something for all kinds of travellers. If you’re active and sporty, you can revel in their “Christmas in the Swiss Alps” Tour that starts in Paris and ends in Luzern (Lucerne). Staying 5 nights in Grindelwald and visiting Byron’s Chateau de Chillon, the amazing hilltop town of Gruyères and the chic ski resort of Gstaad. 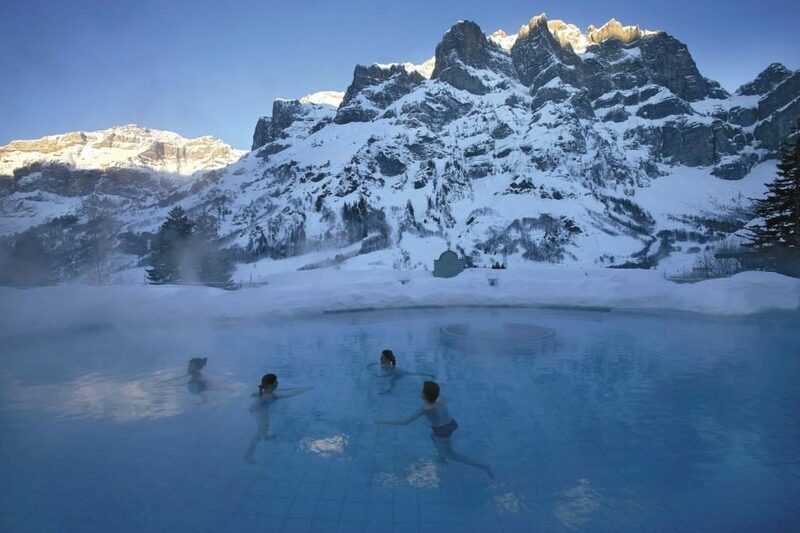 And for the more indulgent ones, I’m sure the 11-day “Christmas in a Swiss Spa Resort” Tour will sound irresistible. 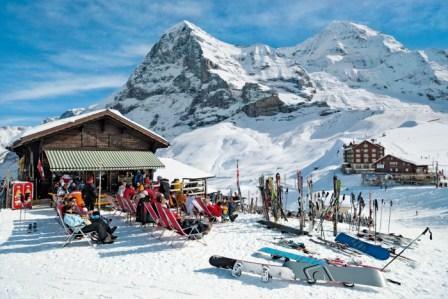 This includes 4 nights in a 5 star Swiss Spa Hotel/Resort in the Swiss mountain village of Leukerbad, and visits the Christmas markets along Montreaux and Bern. They have such a huge number of itineraries that I found myself idly playing an “If-you-could-only-have-ONE-tour-from-these-which-would-you-pick” game. And I can’t decide on just one! I think the perfect way to spend the holidays (a very extended holiday…) is to do 3 tours in succession. 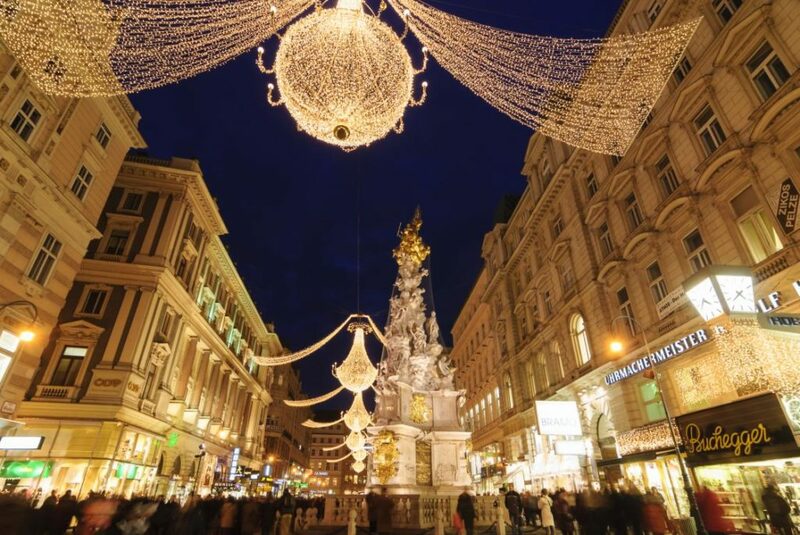 I first chose the 10-day “German and Austrian Christmas Markets” Tour. This is actually a pre-Christmas tour and for someone who’s never experienced a White Christmas before, I think this Christmas Markets tour is a good introduction. 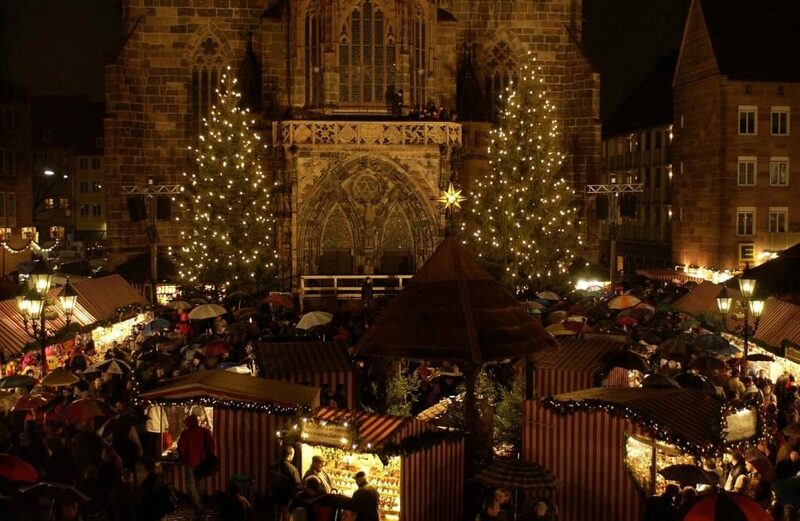 There are 8 Christmas markets to be visited in this tour : in Frankfurt, Rothenburg, Wurzburg, Bamberg, Nurnberg, Innsbruck, Salzburg and Munich. I’m pretty sure that after this tour, one will be ready than ever to celebrate Christmas! And my idea of a perfect Christmas is to spend it indulgently via the “Christmas in a Swiss Spa” tour, and then spend New Years’ in Salzburg with the “New Year with the Sound of Music Tour”. 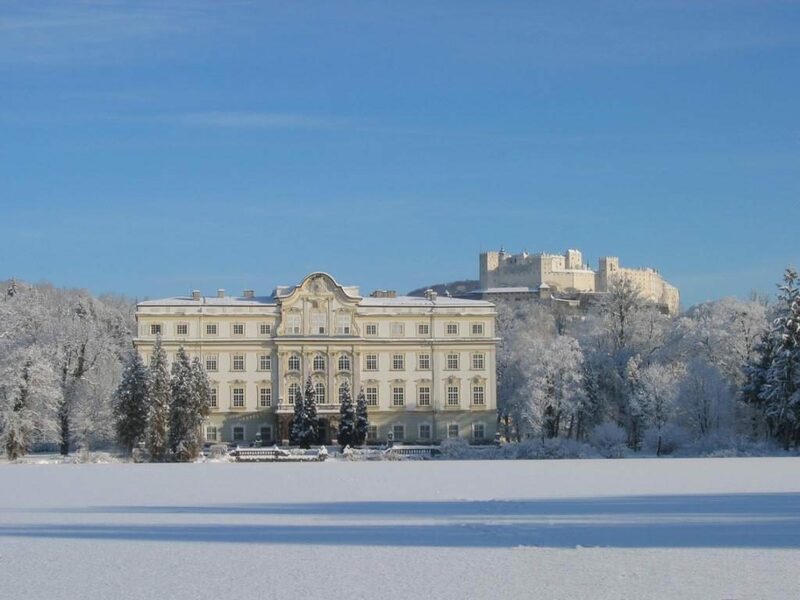 This tour includes celebrating New Years Eve Gala with a dinner gala and dance in the Marble Room of Schloss Leopoldskron – the famous palace from The Sound of Music. You will also spend 5 nights within the palace annex. I’m not usually too big on Christmas and New Years and I don’t have a bucket list, but spending a White Christmas in Europe has always been big on my travel wish list. What are your plans for the Holidays this year? Ever had a White Christmas? Is it as dreamy and magical as I imagine it would be? Holy moly lady…. you almost made me forget I dont like/enjoy winter and the cold. LOL! Holidays this year, not sure, maybe a road trip north with the puppy, a bit of beach dwelling, sun soaking, cocktails and warmth. Although that might just be coming from a frozen and completely over the weather we have been experiencing bitter me. I spent a Christmas in London, and it actually snowed for a bit too. It didnt really settle, but hawt dang it was beautiful. Defo dreamy and magical as you imagine it to be. Growing up in the UK, I’ve enjoyed many a white Christmas, but I kind of took them for granted. We’re still getting our head around hot Christmases, but in the meantime, I’m dreaming of Christmas in Lapland with huskies and Santa. I knew someone who did it a few years ago and it just sounded so magical, it’s been right up there on my bucket list ever since! oh Christmas in Lapland with huskies?? That would be my ultimate Christmas wishlist! I’ll BEHAVE the whole year for that kind of Christmas 🙂 Do you have any preference now that you experienced both – White or Sunny Christmas? Hi Suze, am still keeping my fingers crossed it will happen. Most likely not this year though! Mesmerizing images, beautifully captured. XMAS is a most awaiting festival for all of us. Thank you John! Yes it’s BER-months soon and Christmas is just around the corner!